Baritone Sanford Sylvan had so many great operatic roles, it’s hard and maybe even silly to single out any of them. The wise and sinister Chou En-lai opposite James Maddalena’s enthusiastic and oddly innocent Nixon in the original cast of John Adams’s Nixon in China. The exuberant Figaro jumping up and down on a bed with Jeanne Ommerle in the famous Peter Sellars/Craig Smith “Trump Tower” production of The Marriage of Figaro. Or as Orlando, in his mad scene, being wheeled across the stage on a gurney, in the Sellars/Smith production of Handel’s Orlando at the Loeb Drama Center in the days when the A.R.T. was run by Robert Brustein. 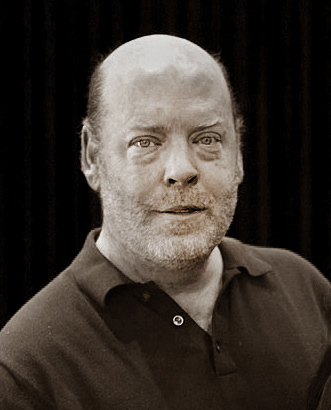 Sylvan, with the music transposed for his mellow baritone, was singing the title role in the “second” cast, when there weren’t enough countertenors to alternate with Jeffrey Gall in the first cast. Sylvan provided another extraordinary moment in another almost forgotten Sellars/Smith production, at Harvard’s Agassiz Theatre in 1983—a double bill of the Brecht-Weil Kleine Mahagonny followed by a staged version of excerpts from Bach cantatas under the title “Conversations with Fear and Hope after Death.” In the Weill, Sylvan was part of a male quartet singing “Oh moon of Alabama!” (that moon hanging overhead like a big Swiss cheese); in the Bach, crouching on all-fours, he sang a heart-rending aria, “How frightened, trembling are my footsteps,” to the obbligato accompaniment of Kenneth Radnofsky’s more-Weill-than-Bach saxophone (one of Smith’s most inspired decisions), as he crawled backwards under a kitchen table. He finally emerged with his arms stretched out against the table in the pose of a crucifixion—a visual and vocal image of total spiritual agony. But if I had to pick the most electrifying Sylvan moment, one of the most electrifying moments in any opera I’ve ever seen, it would be in Mozart’s sublime trio in the Sellars/Smith Cosí fan tutte—possibly their most underrated collaboration. In this ensemble (the marvelous women were soprano Susan Larson and mezzo-soprano Janice Felty), Don Alfonso is playing a trick on two sisters, Fiordiligi and Dorabella. They think their lovers have been drafted and are sailing away to war. But Don Alfonso has actually been plotting with their lovers, betting them that if they returned in disguise and changed places, they could easily seduce the two girls. “Soave sia il vento, traquilla sia l’onda”—“May the wind be smooth, the waves tranquil.” They pray for every element to “respond benignly” to their desire. But Don Alfonso’s “desire” is different from the women’s. He is not wishing the lovers well. In this production, Sylvan’s Alfonso was a disillusioned Vietnam vet, with a violent streak and a barely hidden contempt for women. Mozart does something completely unexpected in the score. On the word “desir” (“desire”), something really strange happens to the harmony. It’s suddenly not sublime but terrifying. Sellars had Alfonso raise his hands and slowly bring them down to cover his eyes. No other stage director I know has responded so explicitly, so vividly, to this musical moment. I still get chills thinking about it. But it was Sylvan’s profound conviction and emotional depth that made this moment so convincing, so memorable, and so chilling. Lloyd Schwartz is the Somerville Poet Laureate, and the Frederick S. Troy Professor of English at the University of Massachusetts Boston. He has been classical music editor of the Boston Phoenix and now writes for the ARTery. And for us in Boston, there was all of Sandy’s magnificent Bach singing. I still have vivid memories of a St. Matthew Passion with Cantata Singers, where Sandy owned the stage, and his voice seemed to descend like a heavenly balm from another world. And another St. Matthew, with the Back Bay Chorale, where “Mache dich mein Herze rein” poured forth near the oratorio’s end as the ultimate summation of healing and redemption, and left most of us among the other performers in tears. WHRB broadcast a terrific Emmanuel Music performance of the solo cantata “Ich habe genug” during one of the Bach Orgies. I know that when it comes to Emmanuel and BWV 82, most of us think of Lorraine Hunt Lieberson, another artist taken way before her time, but this performance was also special. And there’s a studio recording with Timothy Merton’s Sarasa Ensemble. I loved your and James Liu’s memories of Sandy, I might add something like Hemingway’s Grace is courage under fire, or simply physical bravery when the script calls for it. Sandy was in town at dinner chez Achatz after an Emmanuel concert on his return from filming “The Death of Klinghoffer”, the British film based on John Adams’ opera in which 4 Palestinian terrorists held hostage tourists on the Achille Lauro, a true story. I understand that Adams wrote the part of Klinghoffer for Sandy, a wheelchair-bound American Jewish man, who was pushed overboard by the terrorists and drowns. Sandy not only had training on what life in a wheelchair was like, but also had a special couch to work with him on going overboard in one and then swimming back up to air. All this to make the film more naturalistic than the more abstract production by Peter Sellars for the opera. Sandy was delightful, cool telling the story, while the rest of the guests were agog. We didn’t realize then how otherwise controversial the opera and the film were to remain was… because (my analysis) in the attempt to be even handed about politics in the Middle East, it was more more vocally condemned as anti-Semitic. I was present as an Emmanuel Music Board member along with Craig Smith who must surely be considered one of Sandy’s great colleaegues and friends. I could not agree more on all the commentary on Sanford Sylvan’s singing which I recall vividly in the Adams opera “Nixon in China”. I also had the good fortune to sing in a few concerts where he was a soloist, and the one that stands out for me was with Coro Allegro presenting the world premiere of Charles Fussell’s “Infinite Fraternity” in the spring of 2003 where he sang text by Will Graham accompanied by flutist Fenwick Smith (another great musician gone now) and David Feltner on viola. It was just beautiful and Sylvan then followed being one of the soloists in the Haydn Lord Nelson Mass that followed. Then his musical involvement with Adams “The Death of Klinghoffer” took real courage given the pandemonium of misunderstanding for what was being conveyed in the music and story that regrettably has not let up to this day. I for one love the work and would run, not walk to sing the choruses. Mr. Sylvan provides all the fortitude morally and musically needed.